R.E.S.T, Relaxation, Rejuvenation and Replenishment. Here at The Floating Spa we believe in offering treatments that add a sense of calm and escape from the everyday hustle and bustle and allows us to getaway from Traffic, Pollution, Phones, Technology, Chemicals and every other daily stress we put on our bodies. Meet our holistic Therapist Ludmila; trained in deep tissue massage, swedish massage, reflexology and reiki. With over 10 years experience, Ludmila will tailor the service to the individual in order to get the best results. 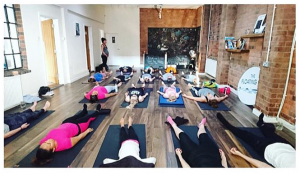 Lisa takes on the ‘modern’ approach of yoga by incorporating strength and flexibility drills that is suitable for all levels and ages. Balancing out her dynamic classes, Lisa also teaches Strala. Strala is a modern and unique style that uses the vocabularies of both yoga and tai chi, along with the movement and energy principles of tai chi, qi gong and traditional Chinese and Japanese medicine. 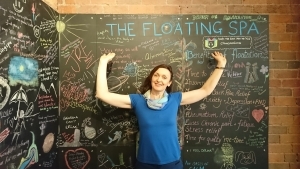 Based at The Floating Spa, Lisa is involved in corporate yoga, events and bespoke 1-2-1s as well as helping to improve athletic performance.